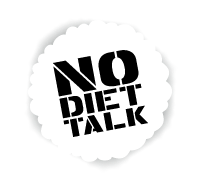 I love wearing it with a t-shirt and skirt, or jeans. 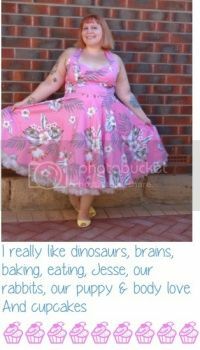 So, I thought for this post I would team it with my favourite dinosaur t-shirt, and maxi skirt. Here's a close up of my t-shirt. For those of you who don't know, I have a love, bordering on obsession, for dinosaurs. Cute outfit! 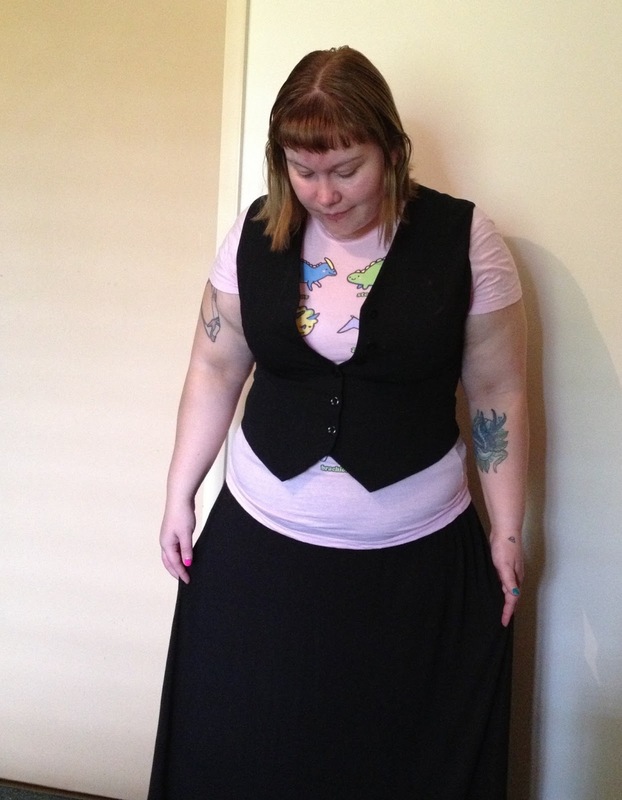 That tee is all kinds of wonderful and I just adore waist coats. I have heaps of Threadless T-shirts! Love their stuff! 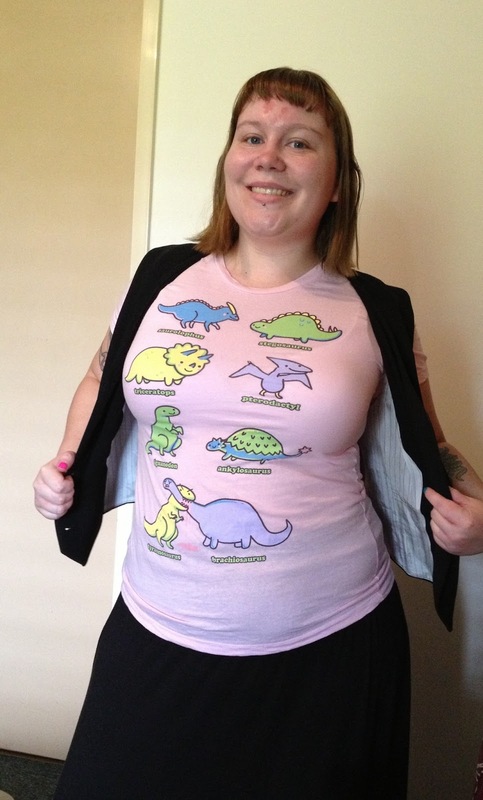 Dinosaur teeshirt is too cute! 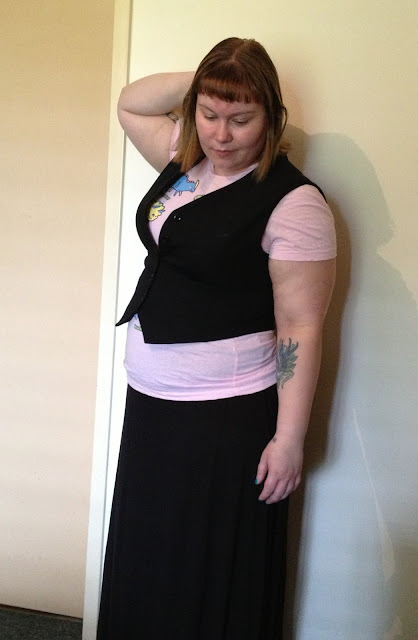 You just can't got wrong with a classic black waistcoat. Nice! Lovin the tee. Too funny.